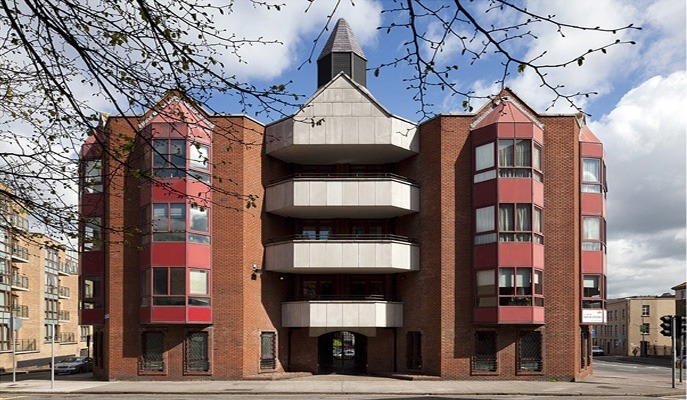 This inner city development comprises 15 own door units totalling in excess of 40,000 sq.ft. of office space. The scheme benefits from a superb location in Dublin’s city centre. This Christchurch office development was designed and constructed by ROHAN and subsequently sold. Size: 40,000 sq.ft. of office space. Location: Lower Bridge Street, Dublin city centre. Public Transport: Well serviced by Dublin Bus. Additional Benefits: Excellent profile, quality occupiers, immediate proximity to Dublin city centre amenities, etc.